National City is under attack from the Cyborg Supermen, who have not yet gained superhuman abilities. Contact with the outside world has been blocked, and no help is arriving for the D.E.O., police and rescue workers. Zor-El and Jeremiah Danvers are two fathers confronting one another believing they know what's best for Kara Zor-El. Meanwhile, Supergirl has returned to Earth, having saved many from the undead cyborg Kryptonian assault. She also tells Zor-El that while she does miss Argo City, her friends and family, humans should not be murdered to bring back her loved ones. However, anything the Girl of Steel says or does could be futile, for Argo City is now orbiting Earth. Will the Cyborg Supermen turn the planet into a New Krypton, or will Supergirl stop them before it's too late? Story - 3: This book still has a lot of flaws in it so far, but this issue is a vast improvement on the previous ones. Much of the questions raised in last month's chapter were answered in this one. 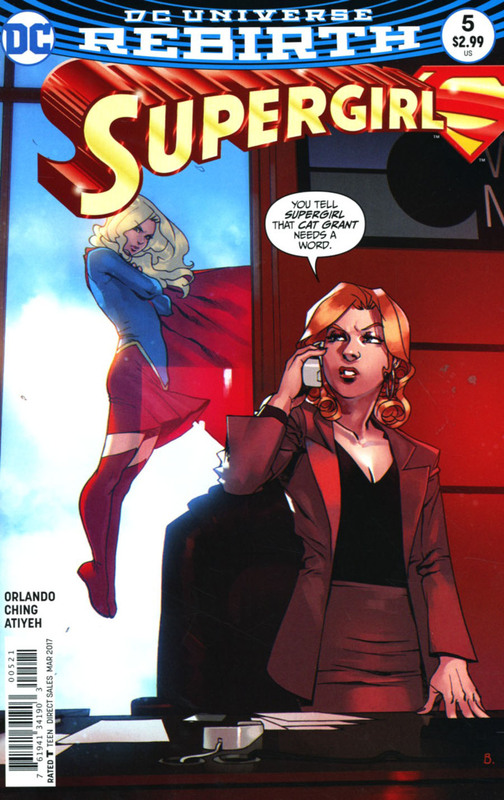 I also liked Kara's interactions with Zor-El. Again, this isn't the best, but isn't the worst comic I've ever read. Let's just say it's going in the right direction in spite of its problems. If this series continues in the directions I'm hoping for it, I may finally give the next issue a higher score. Art - 1: I'm still hating both the interior art and the covers of this series. 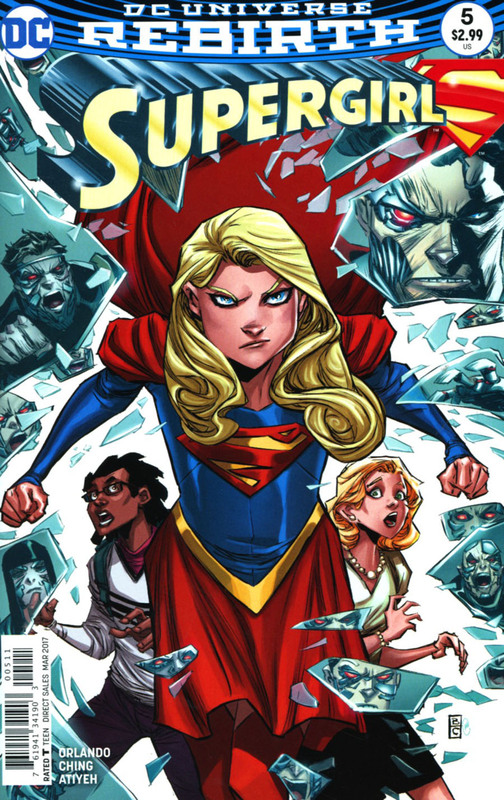 I expected more along the lines of Supergirl: Rebirth #1. Instead, we have what looks like a poorly drawn cartoon. Cover Art - 1: This style does not work for this comic.